A University of Plymouth student is set to represent Kenya at an international swimming event later this month. 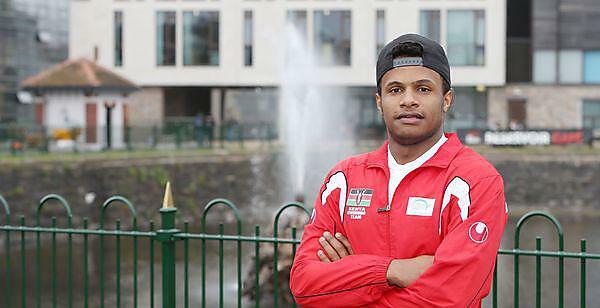 Issa Mohamed, currently studying law at the University of Plymouth International College, will compete against swimmers from over 30 countries at the FINA World Aquatics Championships in Russia. The event includes six disciplines – swimming, water polo, diving, synchronised swimming, open water and high diving – and has been held every two years since its introduction in 1973. Despite his tough training routine, even when he has some down time he is never far away from the water. “Swimming is a disciplined sport and being an elite swimmer means eating healthy, doing gym work and always taking care of yourself. It also includes making ample time to rest and I enjoy fishing in my spare time,” he added. Issa will be swimming in the 100m and 50m freestyle events at the World Aquatics Championships, and the competition gets underway at the Kazan Arena in Russia on 24 July.